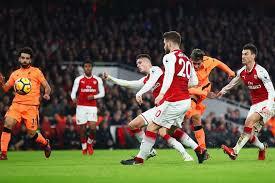 Arsenal hosts Liverpool in a derby clash from the 11th round of the English Premier League. Let’s examine this match at the Emirates Stadium in London. Arsenal were enjoying a run of 7 consecutive wins in the league, before recording their first draw for the season against Crystal Palace. Unai Emery’s team is currently 4th in the league standings with 22 points, trailing on 4 points behind the leader Manchester City. The Gunners have a record of 7 wins, 1 draw and 2 defeats since the beginning of the campaign. It was dissapointing for Arsenal to end their match against Crystal Palace with a 2-2 draw. The Gunners were the obvious favourite at the Selhurst Park. Luka Milivojevic opened the score for Roy Hodgson’s team, but Granit Xhaka and Pierre-Emerick Aubameyang turned the game around. Arsenal were pretty close to winning the match, but once again Luka Milivojevic equalized for Crystal Palace minutes before the end. 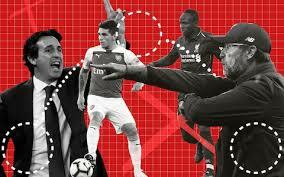 Liverpool are doing a little better than Arsenal so far. The Reds are 2nd in the league standings with 26 points, being on par with the leader Manchester City, but having a worse goal difference. Jurgen Klopp’s team is still unbeaten in the league, having a record of 8 wins and 2 draws. Since the 0-0 draw against City, Liverpool enjoyed two consecutive wins against Huddersfield Town and Cardiff City. Klopp’s boys enjoyed a 4-1 win over Cardiff City at the Anfield in the previous round. Sadio Mane scored a brace for Liverpool, while Mohamed Salah and Xherdan Shaqiri also added goals for the winning side. 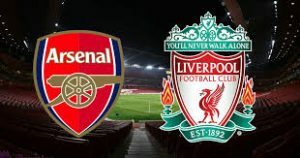 We shall expect an exciting game between Arsenal and Liverpool at the Emirates. These two sides usually play attacking football, so we shall also expect to see some goals in London. We wish you good luck with this one.